Doughnut lovers gathered for a fundraising event highlighting brunch-themed flavors at Tower 23 Hotel’s oceanfront wine room and patio. Participating chefs included Melody Yono, JRDN at Tower 23 Hotel; Jeremy Harville, TRUST/Hundred Proof; Adrian Mendoza, Herb & Wood, and Devil’s Dozen Donut Shop. 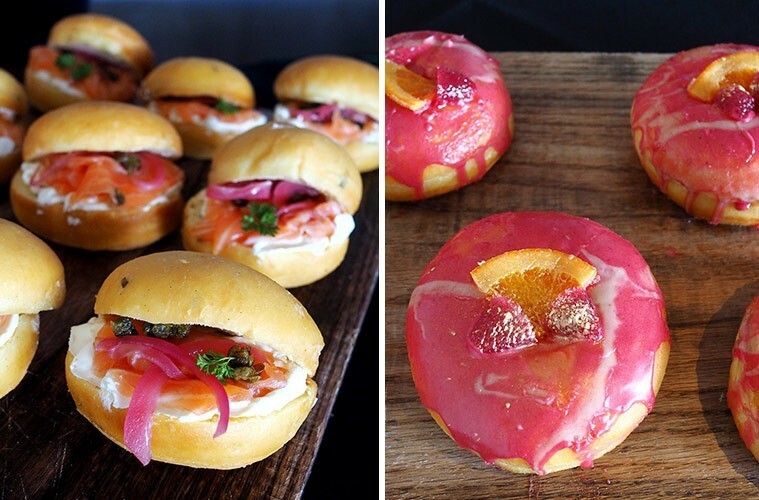 Jeremy Harville of TRUST and Hundred Proof created two cocktail-themed flavors: strawberry mimosa doughnuts with a creamy filling and old fashion doughnuts with a pipette of whiskey. Adrian Mendoza was the first chef to sell out of deep-fried treats. 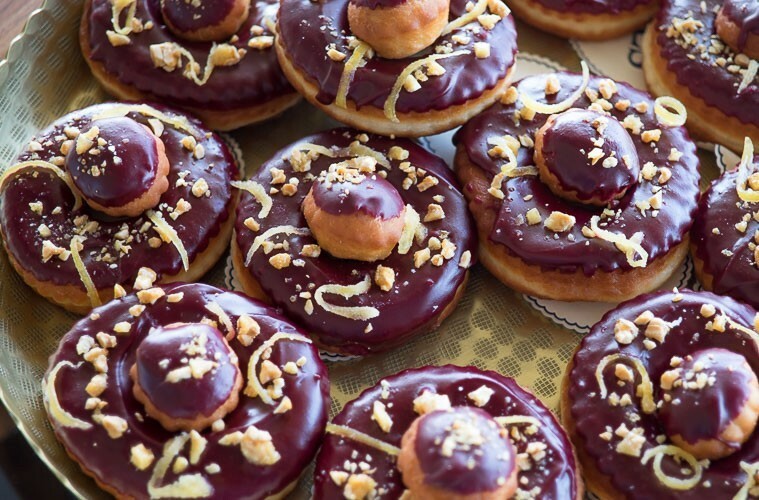 His savory quiche doughnuts with caramelized onion and humboldt fog cheese and black currant donuts with candied lemon and peanut brittle were snapped up by guests looking to expand their horizons. 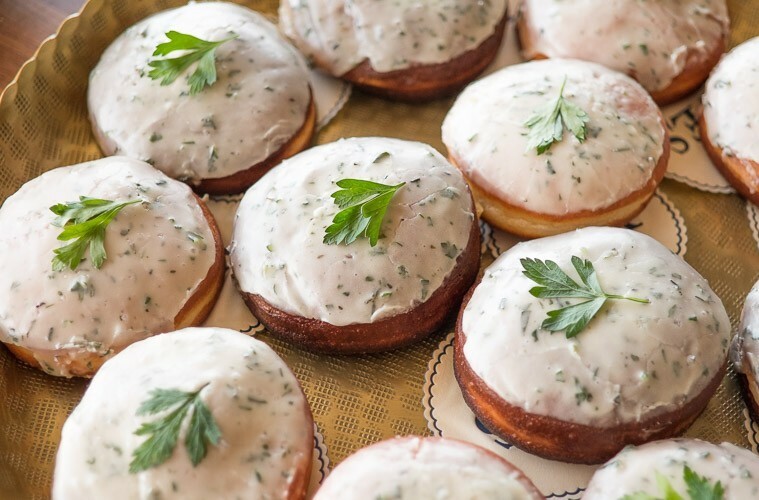 Devil’s Dozen Donuts embraced the brunch theme with a smoked salmon doughnut done up bagel shop style, with cream cheese, pickled onions and capers. Their blackberry champagne gelée flavor provided the perfect counterbalance of sweetness and acidity. 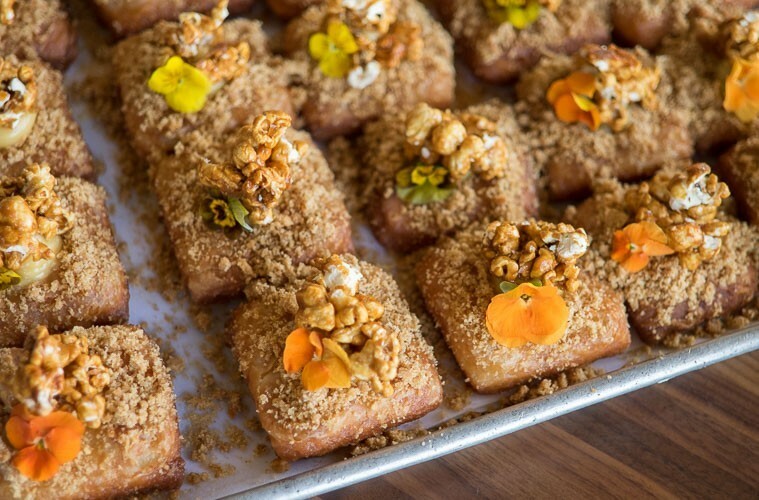 Melody Yono, Executive Pastry Chef at JRDN wowed guests with two flavors they’ve likely never seen before or since: caramel pretzel cronut and “pancake ‘n caviar” (doughnut holes topped with crème fraîche, caviar, and chives). This event wouldn’t be possible without the generosity of our host venue, Tower 23 Hotel. 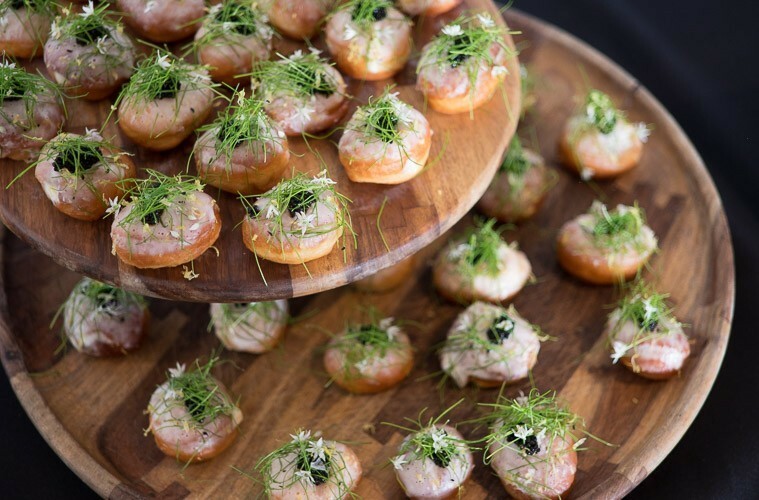 Guests enjoyed their deep-fried treats on the private ocean view patio connected to the wine room at JRDN. Attendees: Thanks also to everyone who came out to eat doughnuts and support a worthy cause. Funds raised benefit Friendly Feast and DonorsChoose.org.